Halloween's a comin' and the pumpkin's gettin' fat. 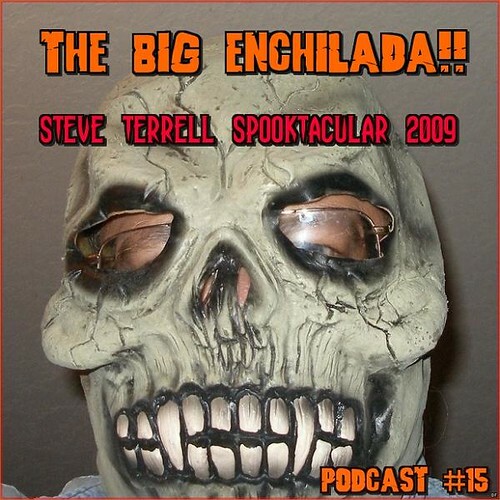 Welcome to the 15th episode of The Big Enchilada, the 2009 Steve Terrell Podcast Spooktacular featuring some ghoulish and horrifying sounds from The Cramps, The Fleshtones, Dead Moon, The Spiders, The Things and, of course, The Monsters ... not to mention classic Rat Fink rumblings from Mr. Gasser & The Weirdos. Not only is it a Halloween party, it's the first anniversary of this podcast. That's right Episode 1 was a whole year ago. And it was another Halloween show-- actually lifted from a recording of my 2006 Spooktacular broadcast on Terrell's Sound World on KSFR in Santa Fe. If you haven't already, you can find that HERE.